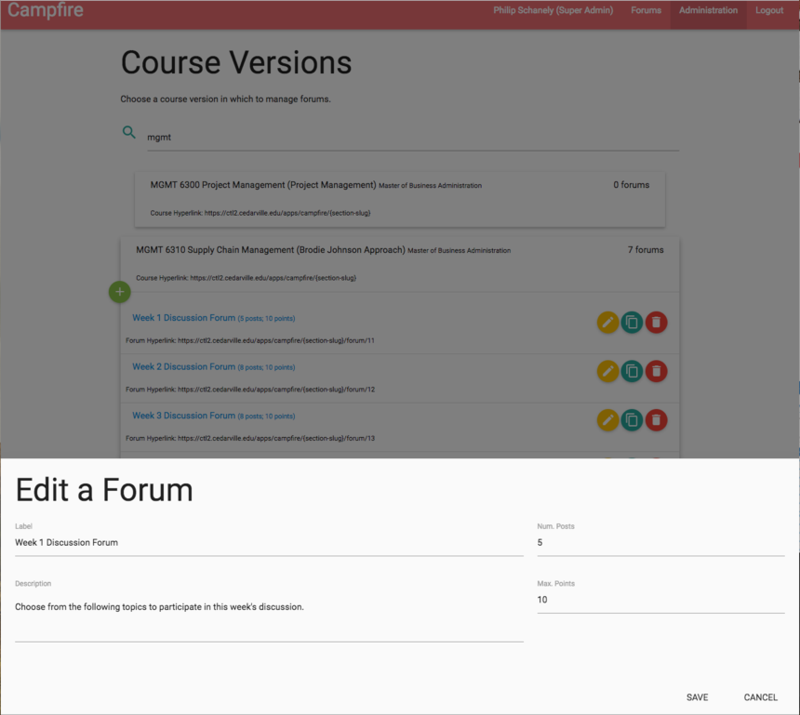 Manage forums and topics inside of a master course so the same structure can easily be reused in many sections of the course. 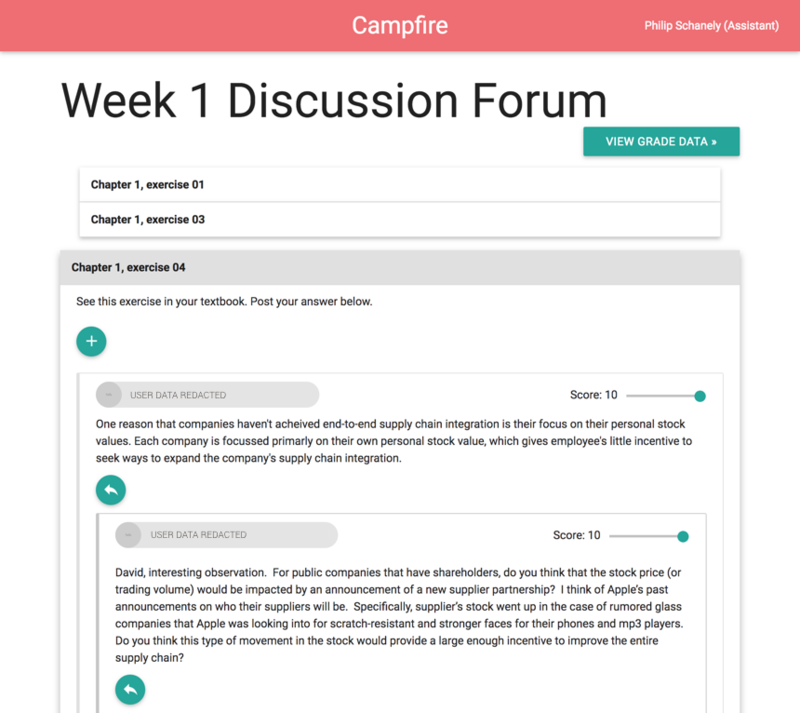 Campfire uses PHP/MySQL with the CodeIgniter framework delivering basic pages and JSON data as an API. Most of the functionality is accomplished using AngularJS to consume and operate on the API data. Copyright © 2017 by Phil Schanely. All rights reserved.